This eyecatching candle holder will make the perfect centrepiece for the dining table. In a polished copper colour 3D star shape for a contemporary, modern look. Add a look of luxury to your dining table or home decor. Stand out piece in a polished copper colour, this will hold a standard dinner candle. 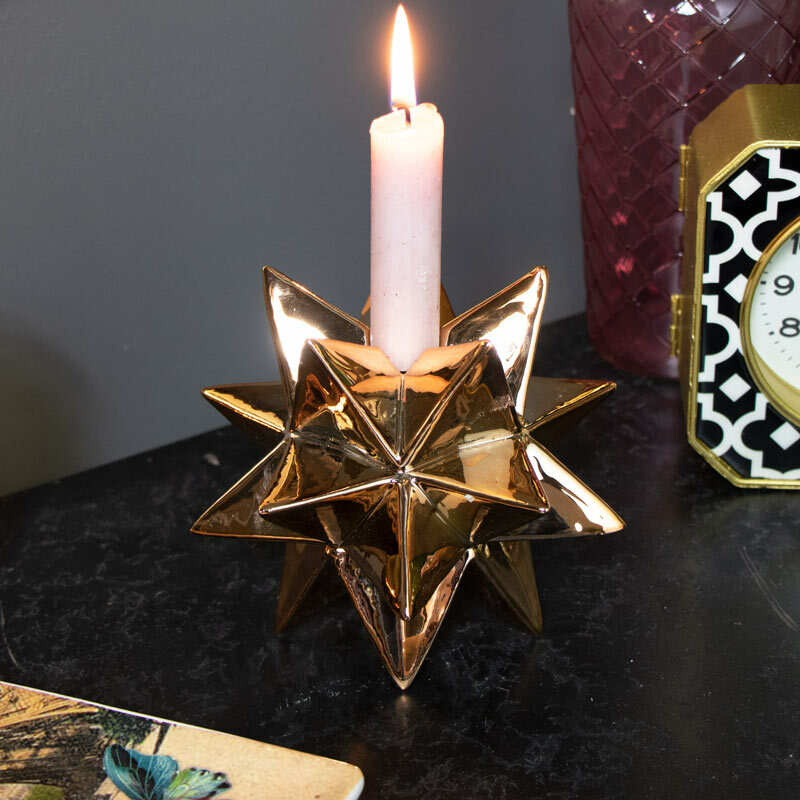 The decorative design of this candle holder will make a great gift idea or the perfect home accessory. This eyecatching candle holder will make the perfect centrepiece for the dining table. In a polished copper colour 3D star shape for a contemporary, modern look. Add a look of luxury to your dining table or home decor. Stand out piece in a polished copper colour, this will hold a standard dinner candle. 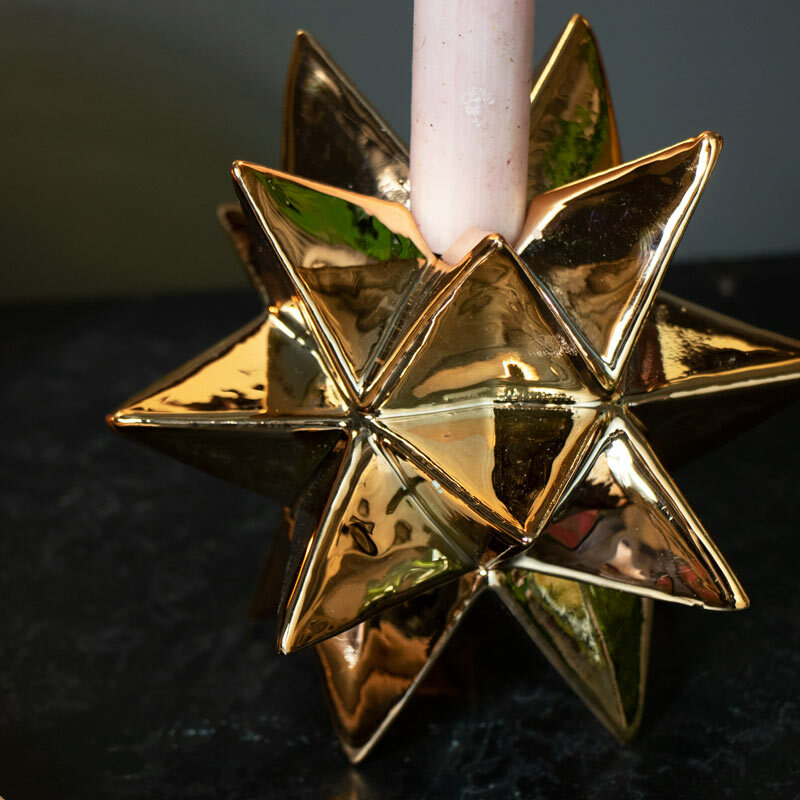 The decorative design of this candle holder will make a great gift idea or the perfect home accessory. Made from ceramic in a polished copper finish. Holds standard taper dinner candle. We have a fantastic range of gifts and home accessories for you. With a large selection of candle holders, candelabras and candlesticks, you can create the perfect display for a wedding or decorate your home in vintage style.